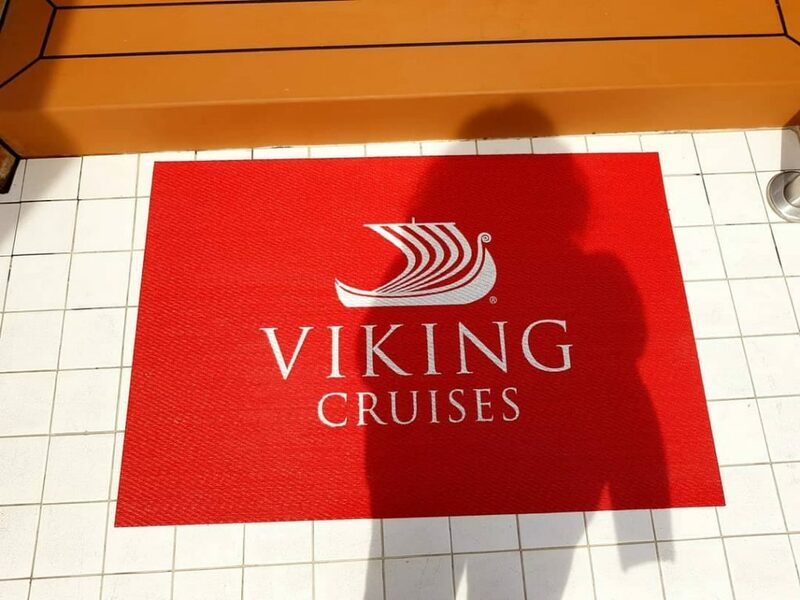 My friends and family will tell you that I have been itching to have a look around a Viking Cruises ship for some time. 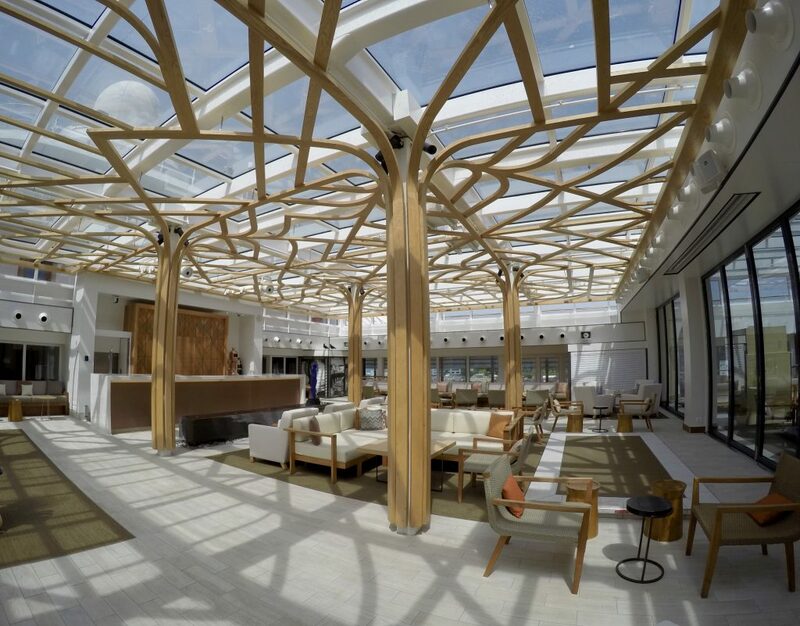 Ever since we anchored close to a Viking Cruises ship in Monaco a couple of years ago, I’ve been blown away by their sleek design, exciting itineraries and engaging marketing campaigns. Viking Cruises is the only cruise line that I haven’t heard negative comments about. Not one bad thing! So when the opportunity arose to visit Viking Star in Portsmouth last weekend, I jumped at the chance to have a look around. Many of you will be familiar with Viking River Cruises – the world’s leading river cruise line – which was founded by Norwegian businessman Torstein Hagen in 1997. 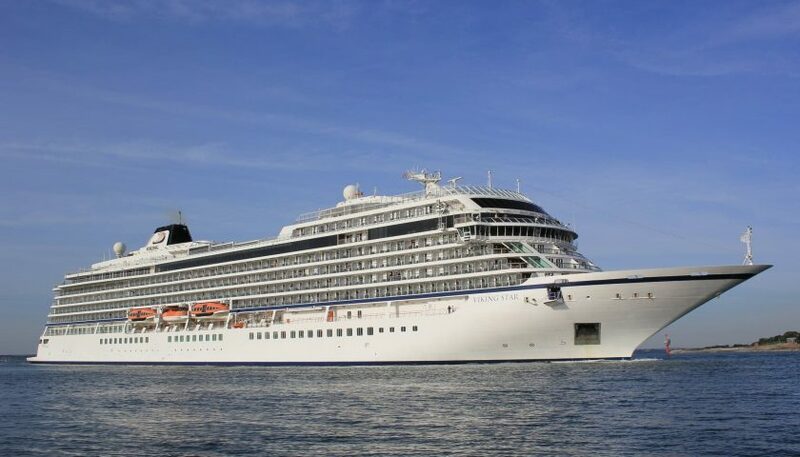 In 2015, Hagen and his Viking brand introduced its first ocean going ship – Viking Star. 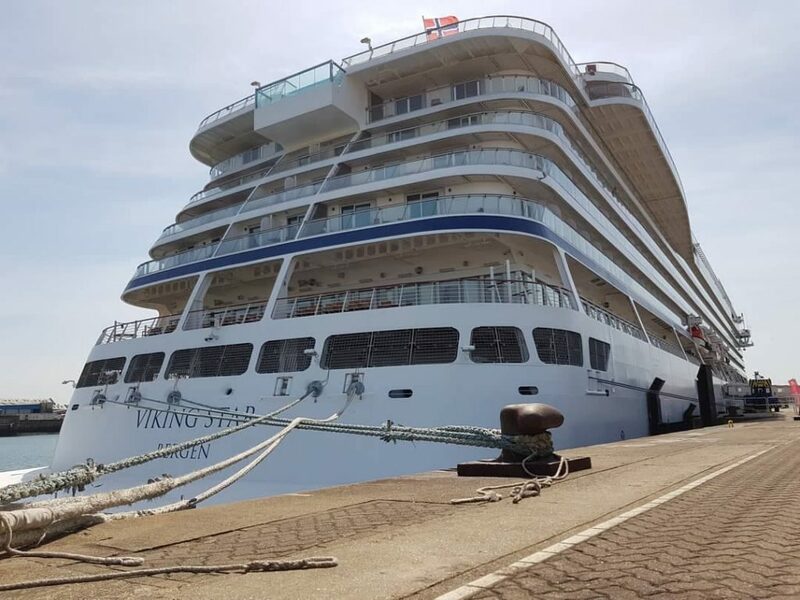 This was followed by the launch of Viking Sea, Viking Sky, Viking Sun and the newly launched Viking Orion. 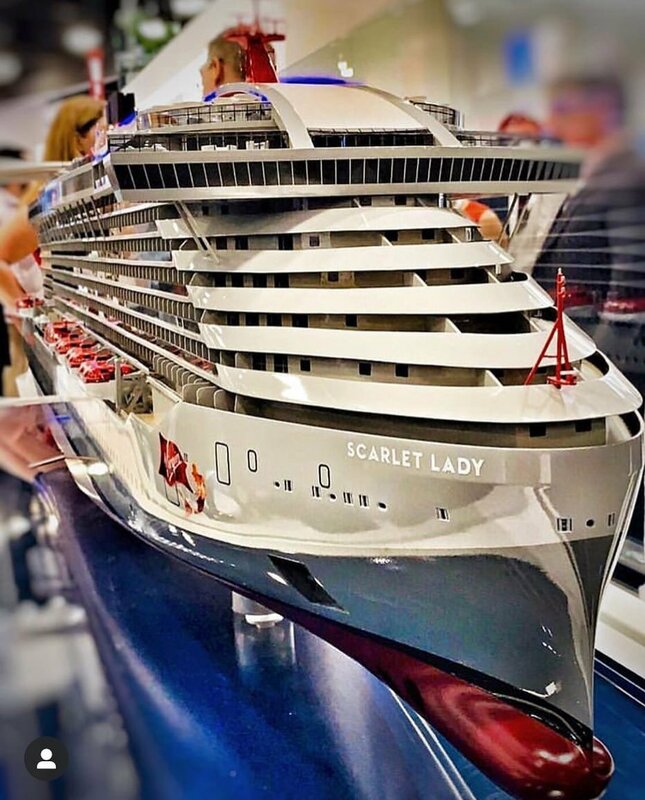 By 2023, the company will have launched a further five cruise ships, making it the largest small ship ocean cruise line around. 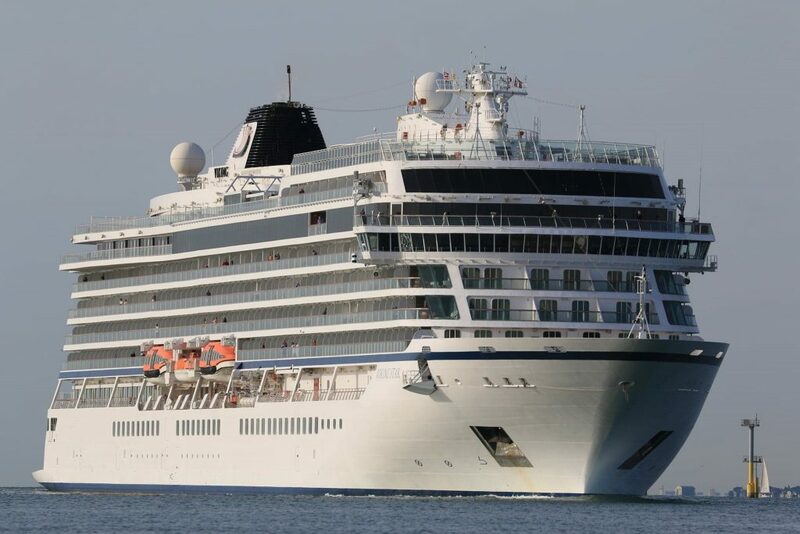 The 930-guest Viking Star measures 745 feet, weighs 47,800 GRT and has 602 crew working on board. 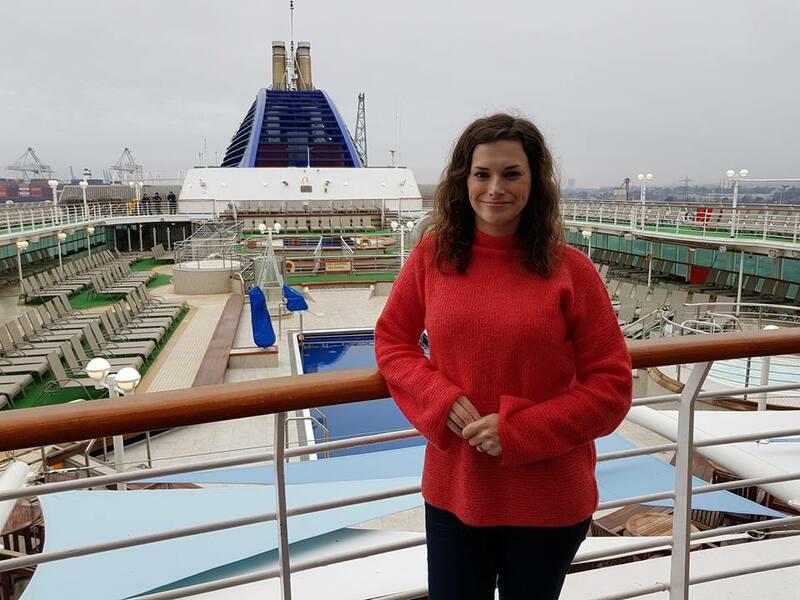 We were shown around the ship by Laura, a member of the Viking Cruises UK marketing team. I was joined by three other bloggers/vloggers – Andrew McAlpine and Ben and David from Honest Cruising. We spent several hours on board, which gave us a great overview of the ship. Viking Star was docked in Portsmouth and although I am familiar with the city, I hadn’t been to Portsmouth International Port before. The terminal had good facilities such as a Costa Coffee outlet and a newsagent. 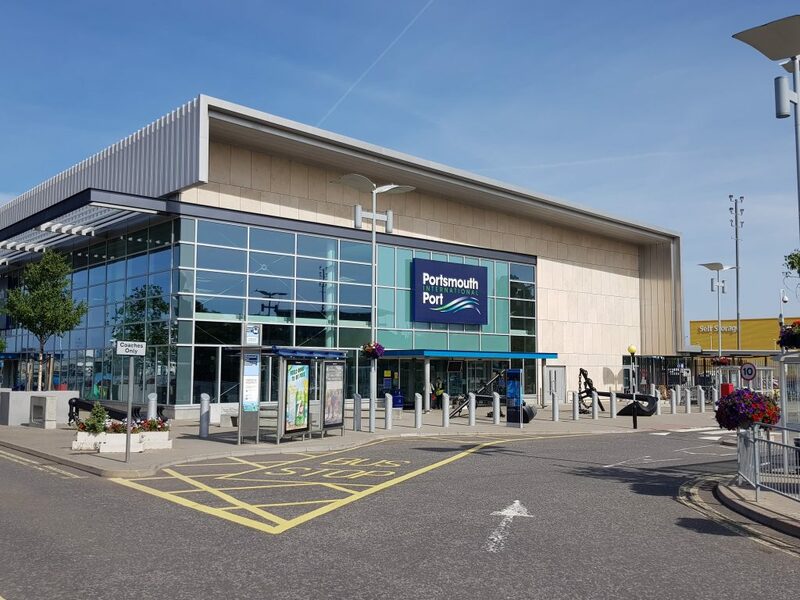 I parked in the nearby multi-storey, but beware – parking isn’t cheap! This was not a turnaround port for the ship, she was actually partway through a cruise which meant many guests were ashore. The terminal’s location makes it easy to explore the city by bus, taxi or on foot. Upon boarding we stepped into the three-deck high atrium on Deck 1. Smaller and more intimate than atrium’s on larger vessels, this area channelled the Scandinavian design I’d heard so much about. A central staircase that leads to the upper deck is dominated by a huge screen, which displays images that change regularly throughout the day. A black Steinway piano stands at the bottom of the staircase and pre-recorded piano music plays through speakers around the atrium. 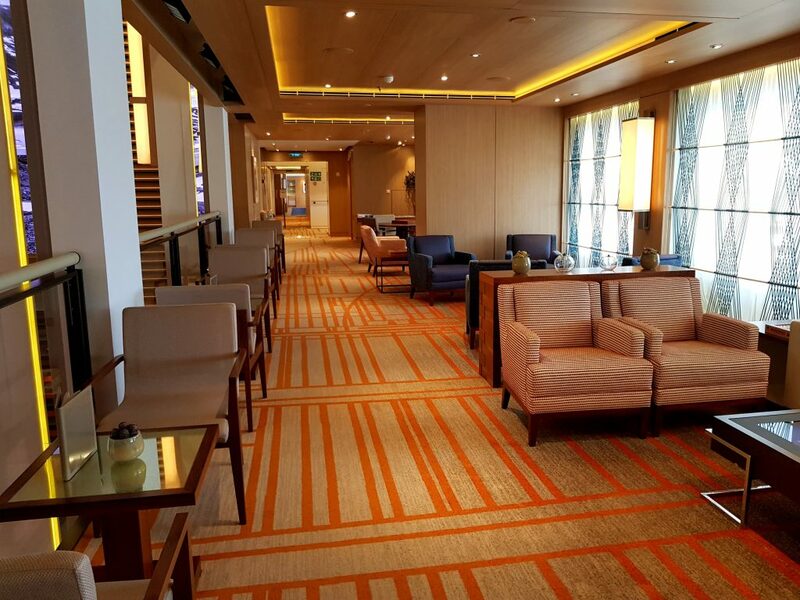 The Viking Bar and Library are situated on the atrium’s starboard side whilst the Viking Living Room (with seating and the Shore Excursions desk) can be found on the port side. The whole area is peppered with comfy sofas, blue, orange and beige hues and lots of glass, making it a very light space. 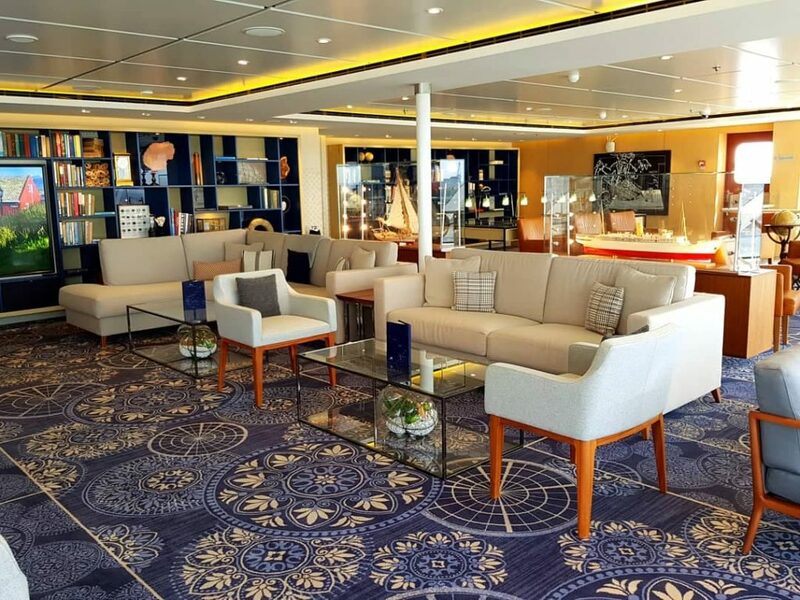 The décor is chic and contemporary with a Scandinavian feel that continues throughout the ship. The shops can be found just off the atrium on Deck 1 and 2. 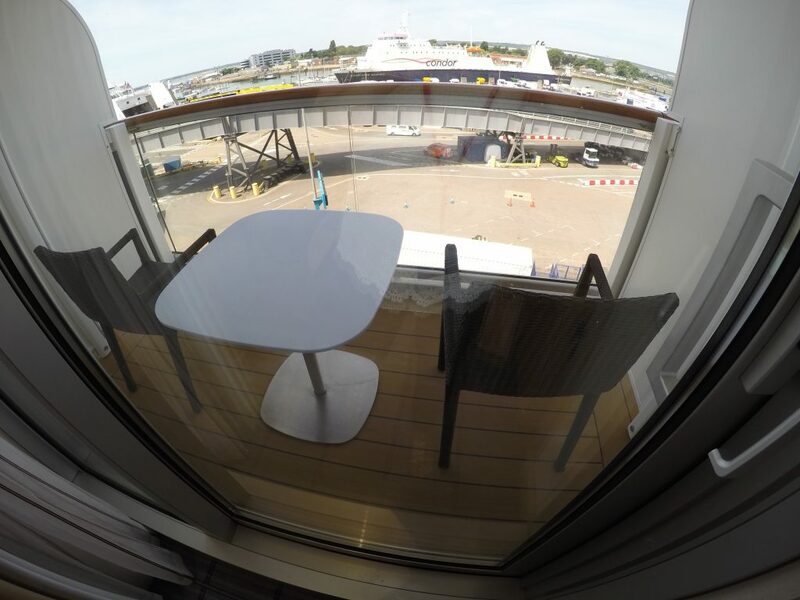 On Deck 2 you’ll find more seating along with a wide range of traditional games such as Scrabble and Monopoly. 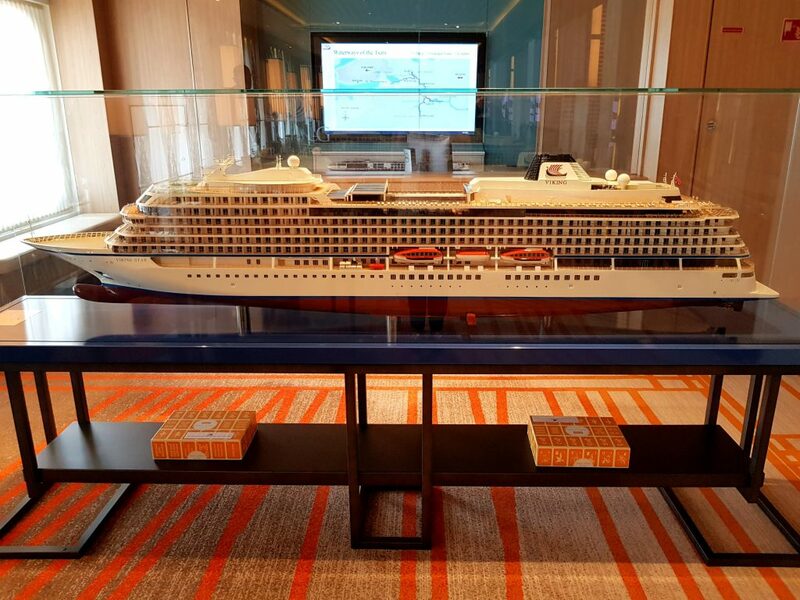 A large model of Viking Star stands in one corner. A wraparound promenade can be accessed from Deck 2. Four laps around the deck equals one mile. There are quite a few lifts around the ship, but they are small which is something to keep in mind if you are a wheelchair user. Outside each set of lifts there are interactive screens, which provide useful information about the cruise. Similarly, outside each dining venue you can use an interactive screen to view the menus. 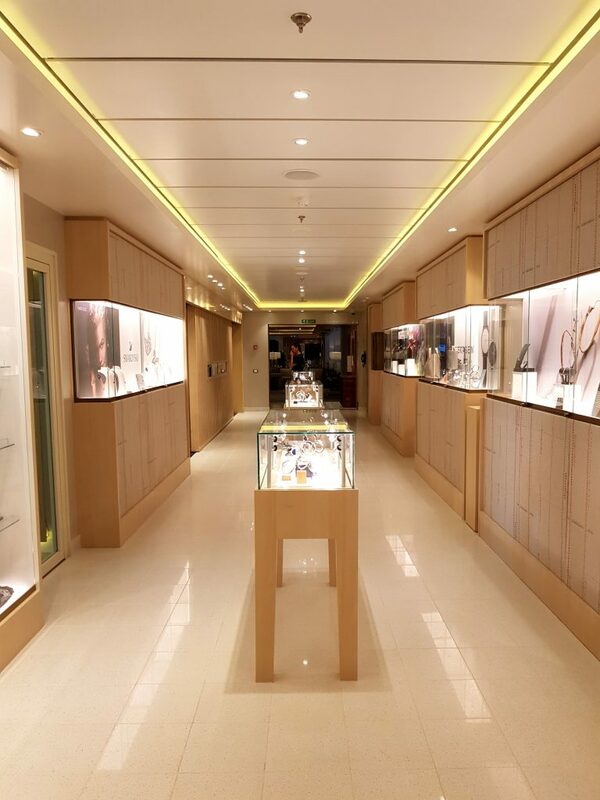 At the aft end of Deck 1 you will find a small fitness centre, salon and Nordic spa. Before entering the spa changing rooms you are greeted by what appears to be a large fireplace. The flames are actually made from water vapour, but they give off the same effect as a real fireplace. 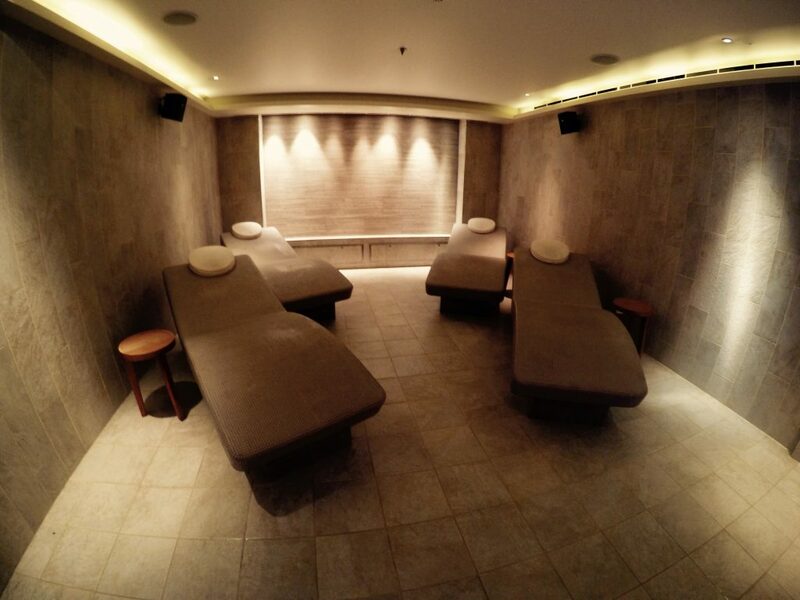 The spa changing rooms feature a plunge pool, sauna and refreshment facilities. Guests don’t need to bring their own pool towel as these are available around the ship, both at the swimming pools and in the spa changing rooms. 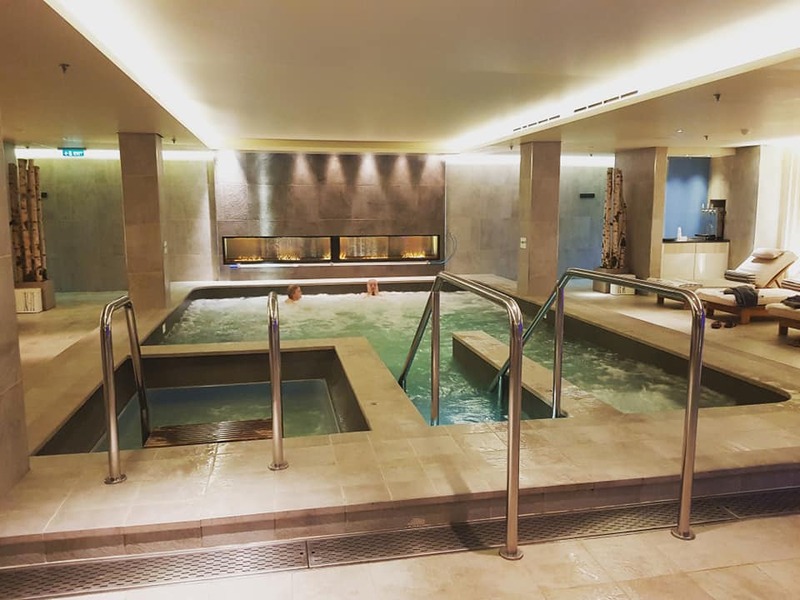 Viking Star has the nicest spa I have seen on a cruise ship. Upon entering, it didn’t feel as though we were on a ship, it felt as though we were in a five star hotel on land. 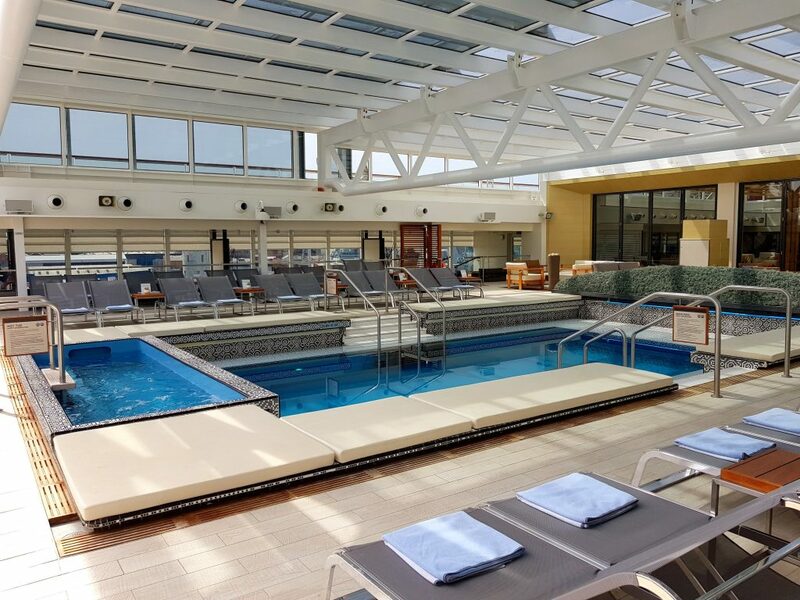 A large thalassotherapy pool takes centre stage and the pool is more than twice the size of the hydrotherapy pool I recently reviewed on board Britannia. Large comfy beds line the side of the pool and at one end of the spa you’ll find hotbeds. The most unique facility in this suite is the snow grotto, a room made of snow that stands close to the female changing rooms. This grotto draws on the Nordic tradition of moving from somewhere very hot (i.e. a pool or sauna) into cold conditions and vice versa. There were lots of nice touches to this spa and I was impressed with its cleanliness, which seemed to be maintained by crew on a regular basis. I felt that this was a great space for relaxation and the guests using the facilities gave really positive feedback about their time in the spa. I could spend a lot of time there and it was one of my favourite features on board. Entertainment on board Viking Cruises ships is more refined and less commercial than you’ll find on larger vessels. The theatre (or theater as the company spell it) plays host to guest speakers, live performances and themed shows. The room is comfortable and intimate and you get a good view from all angles. I really liked the cushions featuring the faces of old movie stars. The two cinema rooms showcase new movies and destination-driven cinema based around the ports on that particular itinerary. A bar can be found in the foyer area before you enter the theatre and cinema rooms. There are two swimming pools on board Viking Star. 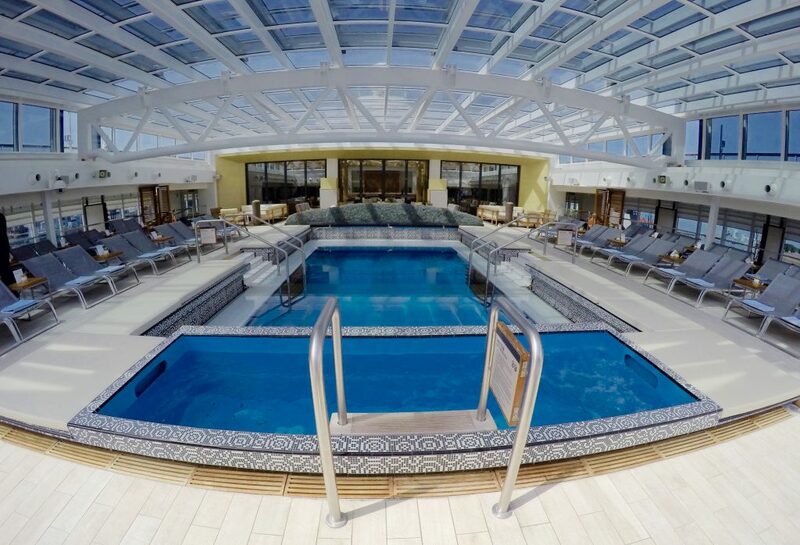 The Main Pool and hot tub on Deck 7 is heated and can be covered by a retractable roof. Its central location means that there are lots of really good amenities around the pool, such as the pool bar and grill and the Wintergarden. The sunbeds surrounding the pool all come with towels and the bottom half of the beds pull out so they don’t take up too much deck space. Along the outer edge of the pool there are a number of shaded areas with sofas and cushioned beds boasting views out to sea. A large outdoor cinema screen overlooks the Main Pool, allowing guests to watch Movies Under the Stars at night. Outdoor tables and chairs also give guests the option to dine al-fresco. The Infinity Pool can be found at the aft end of the ship on Deck 7 on the Aquavit Terrace. 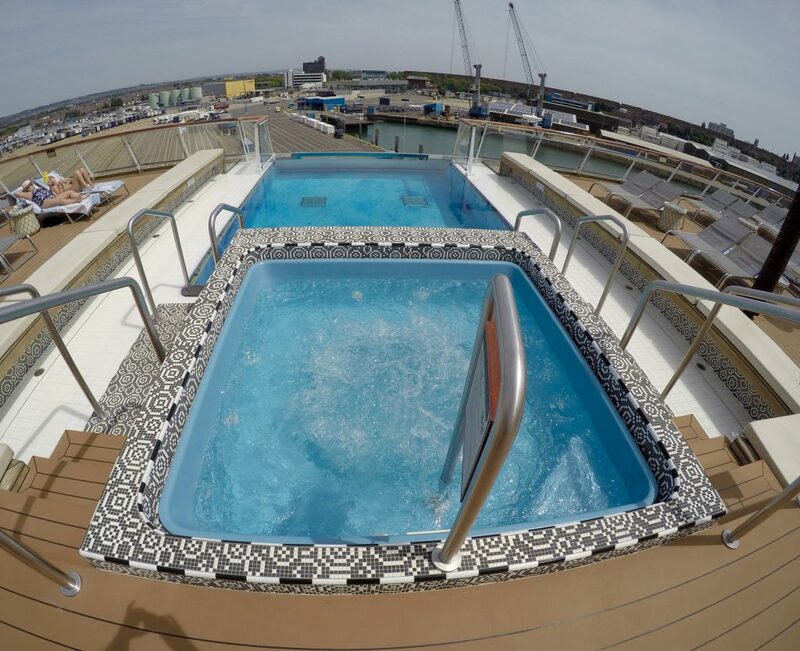 The pool was the first of its kind at sea and you will find one on each Viking Cruises ship. It was easy to imagine relaxing in the cool water with a cocktail, sailing away from an exotic port. Its close proximity to the World Café means it’s easy to access refreshments if you simply want to laze by the pool all day. There is also a hot tub nearby. I briefly mentioned the Wintergarden, which lies behind the Main Pool. This beautiful space has a glass roof allowing light to flood into every inch of the room. Contemporary seating in beige, oranges and browns are scattered around the room and a bar stands to one side. This is a great spot to enjoy afternoon tea, or to simply relax with a good book. During our visit the room was empty which was a shame, but it was a port day. 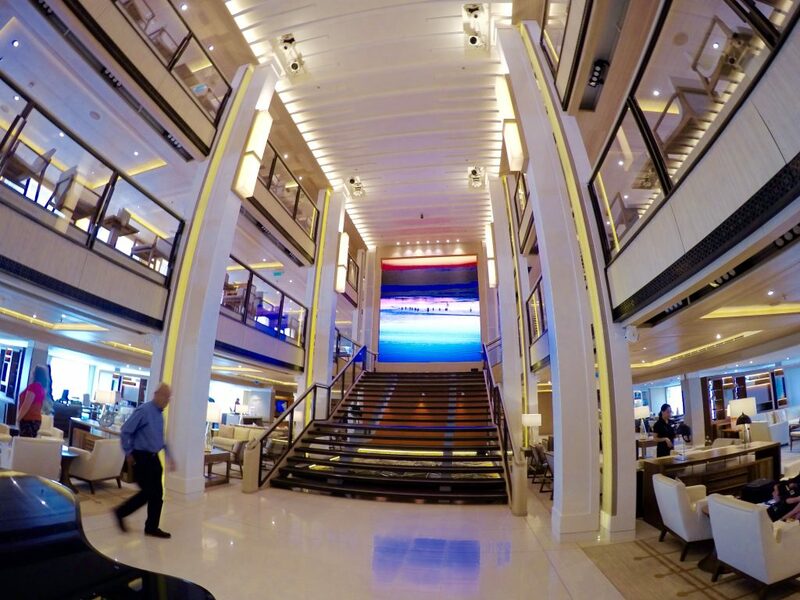 This stunning two-storey lounge stands prominently at the forward end of the ship, overlooking the bow. 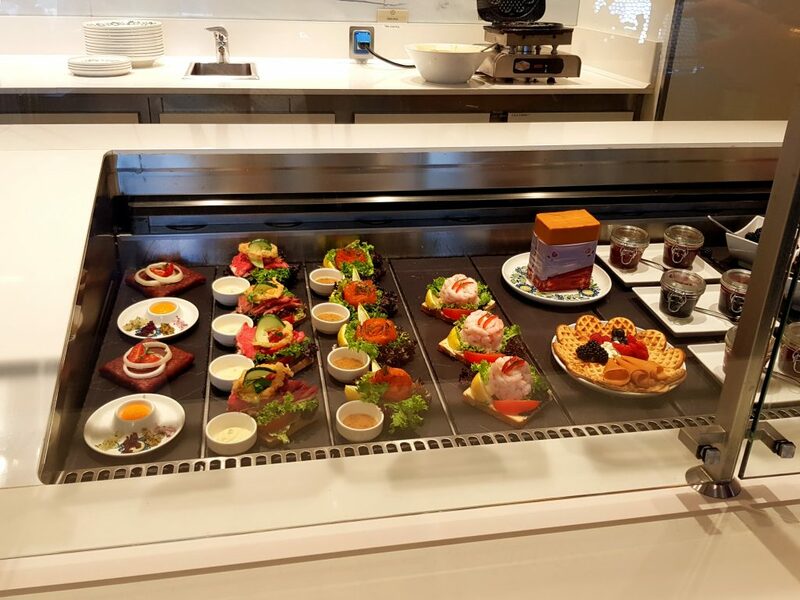 On the lower level, guests can enjoy Mamsen’s, a Norwegian inspired gourmet deli featuring smoked salmon and prawn open sandwiches and delicious home-made waffles. I was told that the deli was named after Torstein Hagen’s mother. On the other side of the deli, guests can make use of a large bar and dance floor with piano. Two tiers of windows line the front of the lounge, affording spectacular views of the surrounding area. A spiral staircase connects the two decks together. Explorers’ Lounge was inspired by the trade routes of the Vikings and you will find references to this in the models and books on display in the upper level. There are also interactive computer screens, which allow you to play games. I loved this bar and I really liked the vibrant colours, quirky ornaments and artefacts on display in the upper level. The Library on Deck 1 has a similar design to this section of the Explorers’ Lounge. This bar come club is the perfect place to experience some live music in the evening. The bar is small but well laid out. 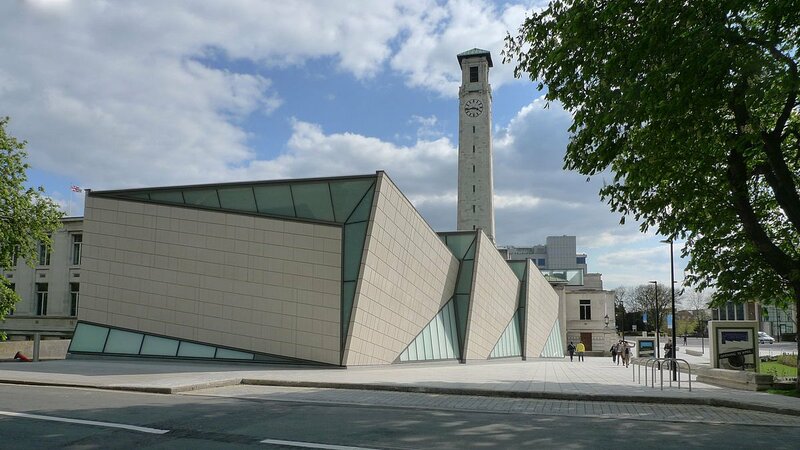 There are no windows so it’s very much a night time venue. 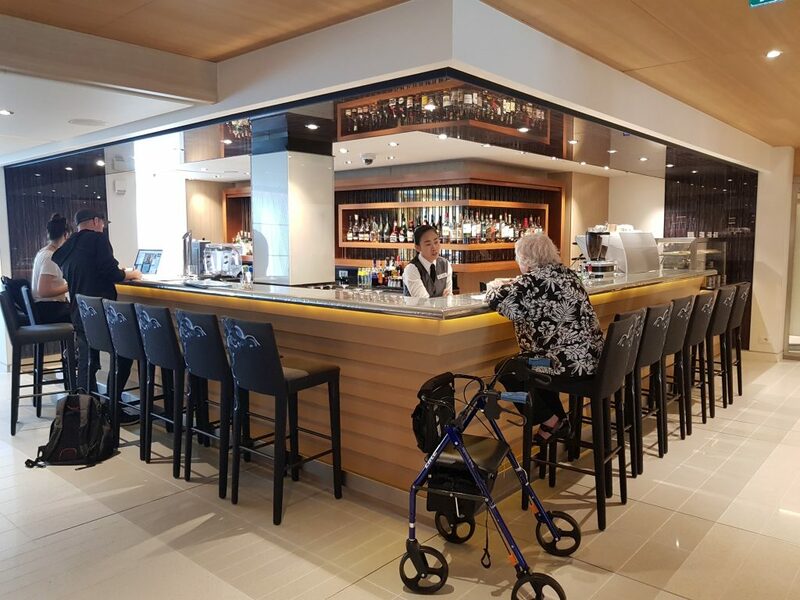 Located on Deck 1 this bar services the atrium area. It was a hive of activity during our visit although it was located close to the gangway. 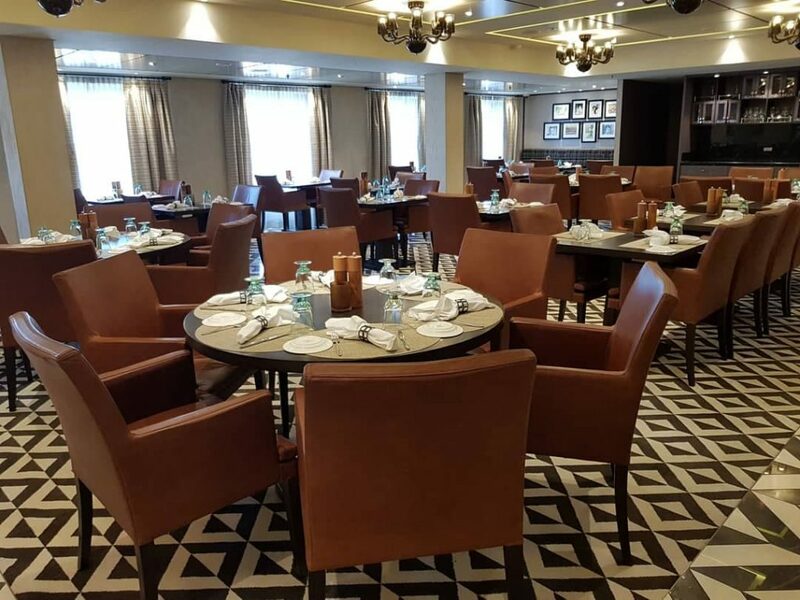 Viking Star’s main restaurant is situated at the aft end of Deck 2. It is cleverly split into sections meaning that it never feels too big and there is limited seating on the deck outside. There are lots of tables for two, which is great for those who aren’t keen on sharing with other guests. There are no fixed dining times, just restaurant opening times, so guests can dine quite freely. The restaurant is open for breakfast, lunch and dinner. Menus offer international cuisine, although there are a few dishes that cater for the American market. This self-service restaurant is not like any cruise ship buffet I’d experienced before. 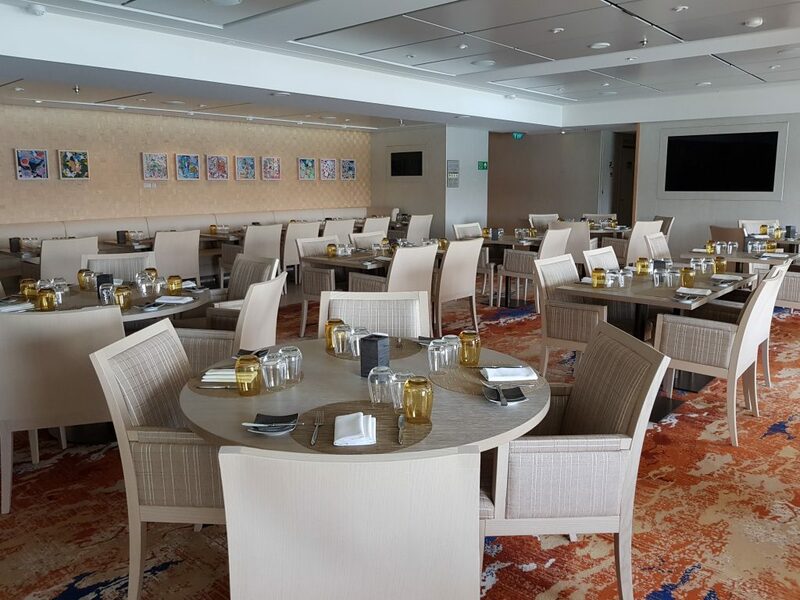 Situated at the aft end of Deck 7, World Café stretches two sides, providing guests with very adequate indoor and outdoor seating. The light airy feel that flows throughout the ship continues in this space. Blue seating is paired with neutral tables and flooring. Waiters offer to fill your water glass at the table, so you don’t need to do it yourself. If you do use the drink dispensers, don’t expect to find watered down orange juice. I had lemonade, but there was also good quality orange juice and a cranberry cocktail available. Nearby there was a table with soft fizzy drinks where guests could help themselves to what they wanted. Food was split into different sections: cold, hot and sweet. The salads looked delicious and there was a gammon carvery for those wanting cooked meat. The international cuisine included Chinese, Japanese, American and European dishes. 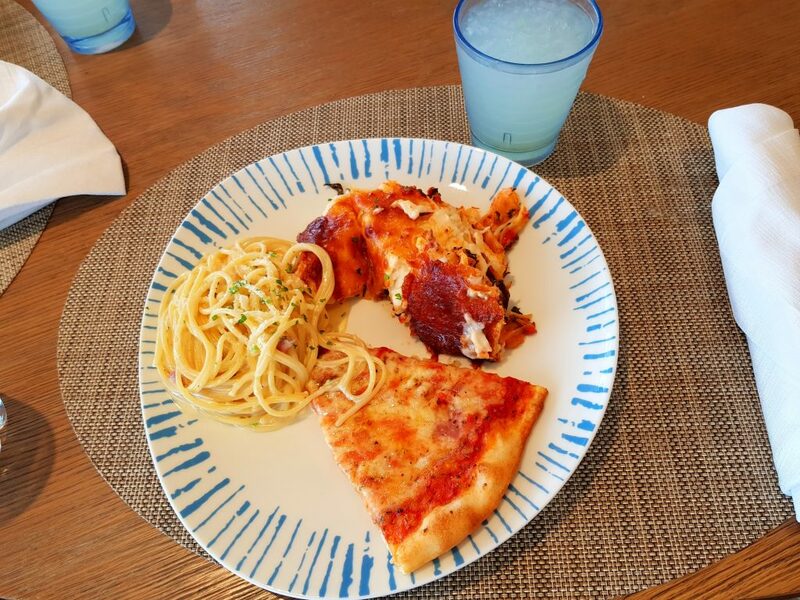 I made the most of the Italian dishes – beef cannelloni, pizza (delicious) and spaghetti carbonara. The pasta was fresh and it hadn’t been sitting on a hotplate for ages. The boys from Honest Cruising tried the freshly made American style sandwiches, which they said were really good. I had the homemade gelato for dessert, which was superb. I opted for chocolate ice cream and blackberry sorbet. 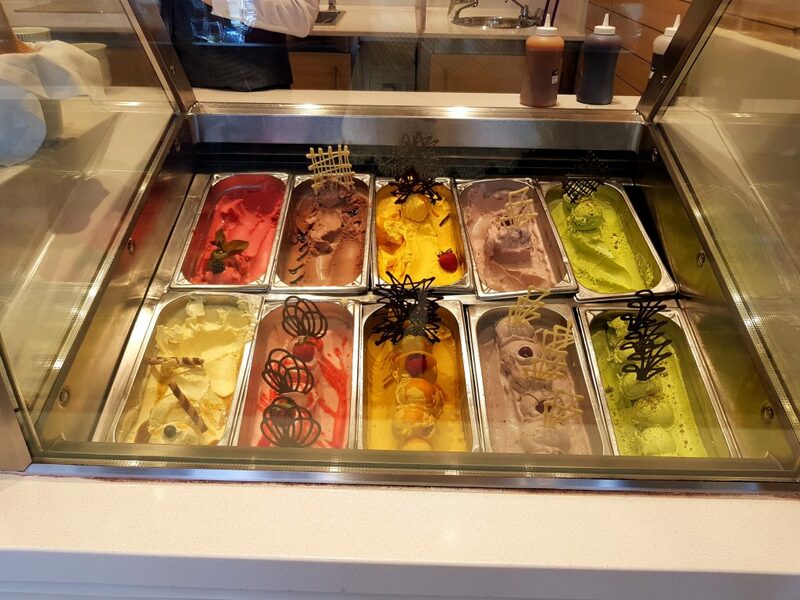 Everything in the buffet is inclusive, including the gelato. I was very impressed with the quality and variety of food on offer. Everything was fresh and replenished regularly. There was something for everyone. I was informed that there are vegan options and the ships cater for guests with dietary requirements very well. 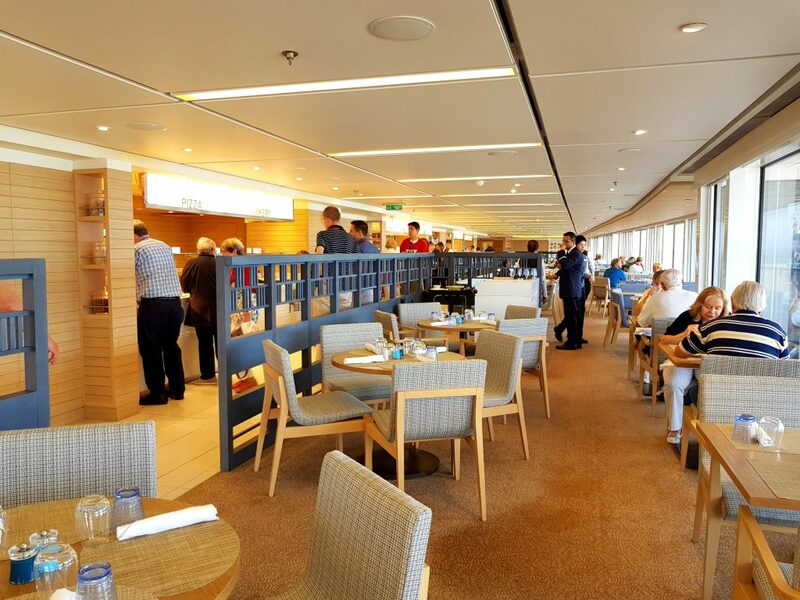 This is the most popular alternative restaurant on board. The trendy patterned floor tiles are complemented by beige and orange décor and contemporary artwork. 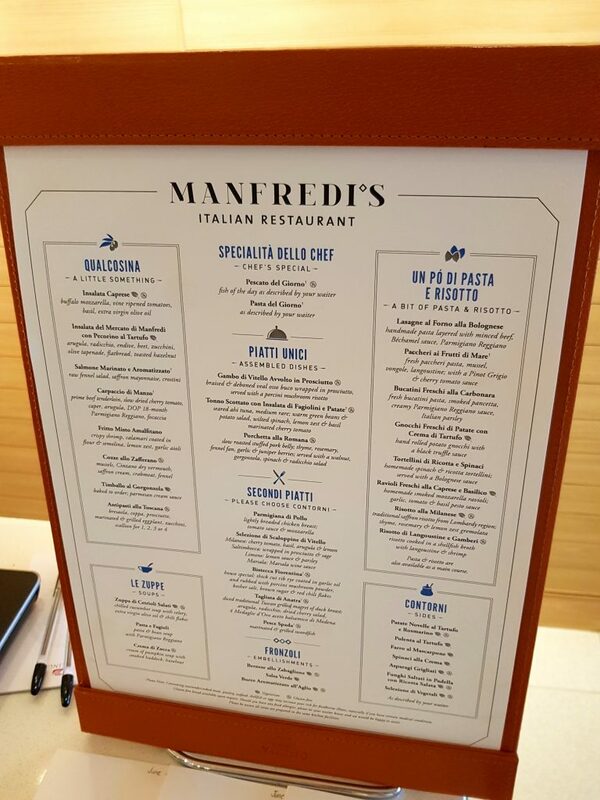 The menu is extensive and there were lots of dishes I would love to try. Like the main restaurant, there are plenty of tables for two. There is also a separate room for private dining which had a beautiful wooden dining table. 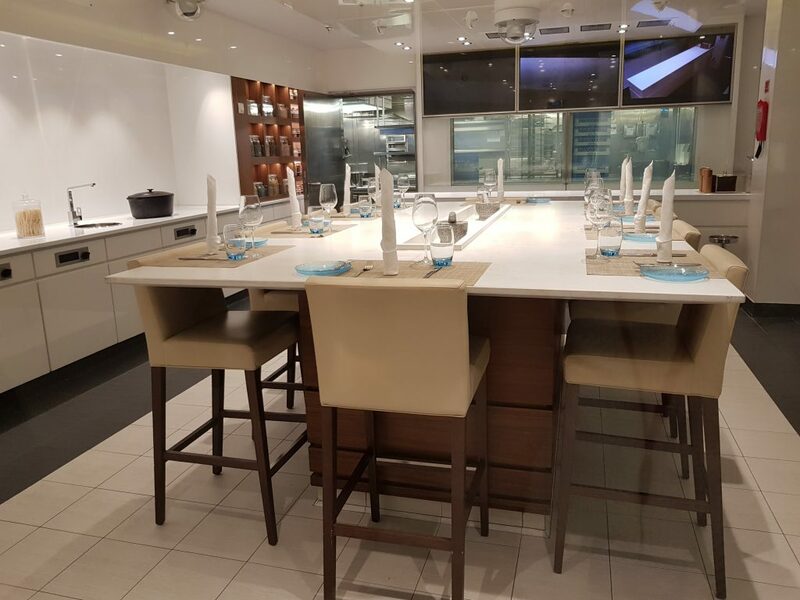 The Chef’s Table provides guests with the ultimate fine dining experience. The menus pair wine to themed dishes from around the world. Menu examples include Norwegian, Chinese and Japanese fare. As this is a dining experience, dinner tends to last most of the evening. 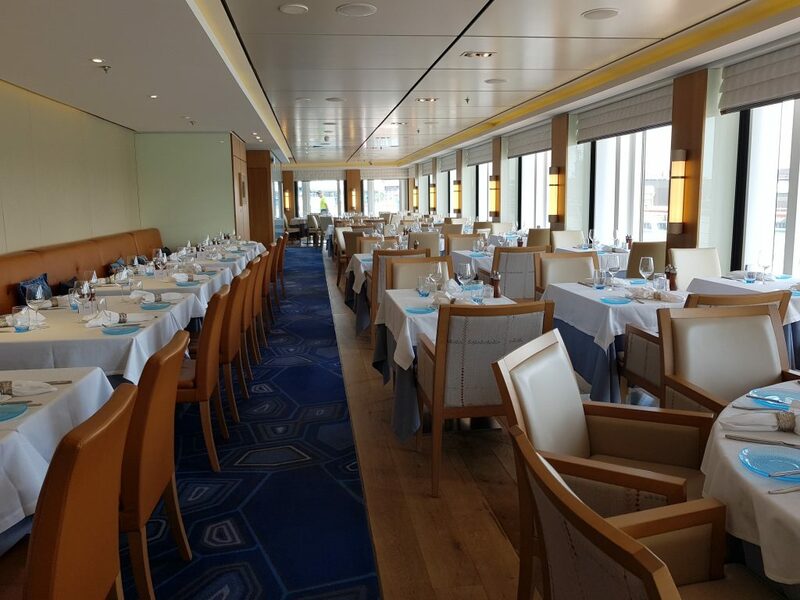 The restaurant is stylish yet simple, much like the rest of the ship. 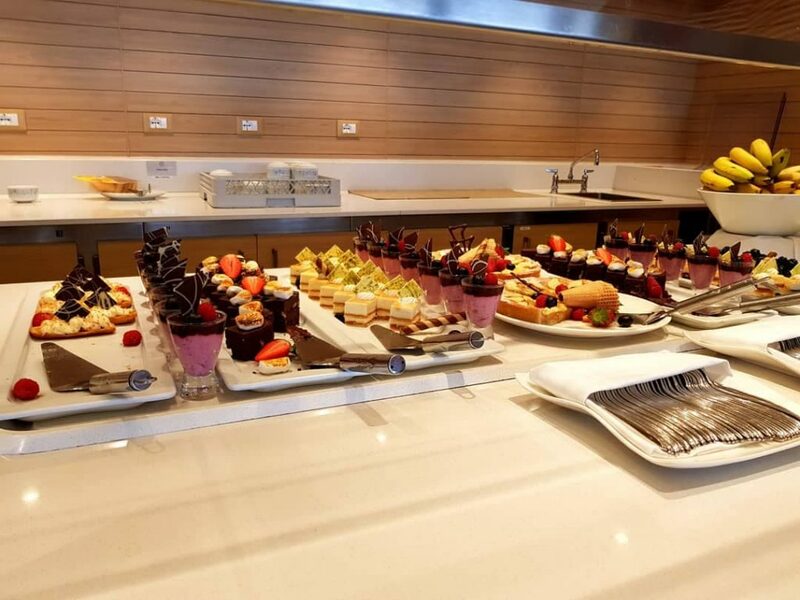 For an additional fee guests can venture ashore on an excursion with the ship’s chef to buy local produce, before heading back on board to The Chef’s Table to cook (and eat) authentic local dishes. The Kitchen Table is small and intimate and guest numbers are limited. 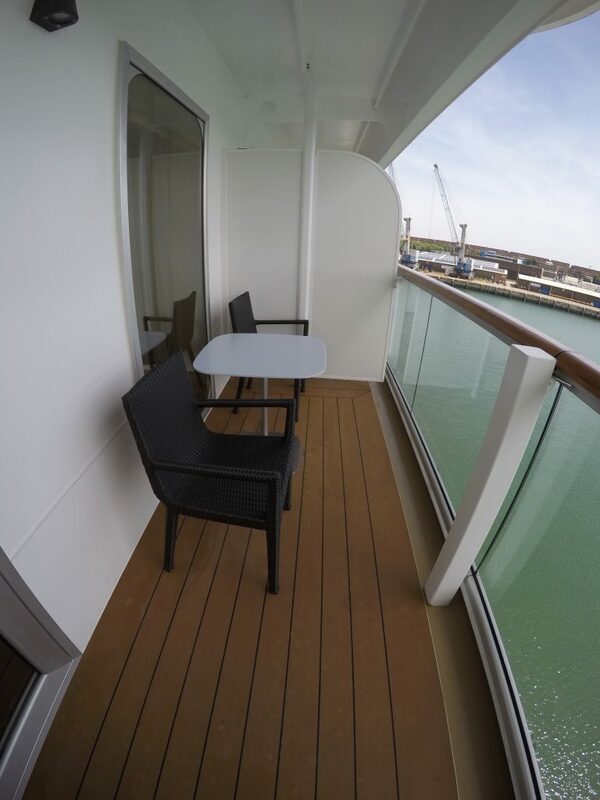 As I mentioned earlier, every Viking Cruises ship features a stateroom with a veranda. Viking Star has fourteen Explorer Suites, 24 Penthouse Junior Suites and one Owner’s Suite in addition to its standard staterooms, which are spread over five decks. The corridors are nice and wide and alleyways were not clogged up with service trolleys. There are no solo staterooms on any ship in the fleet. All staterooms feature: a king-size or twin bed, 42 inch flat screen interactive TV, mini-bar with soft drinks and snacks, veranda, steward service twice daily, purified water refill daily, 24-hour room service, toiletries, bathrobes and slippers. 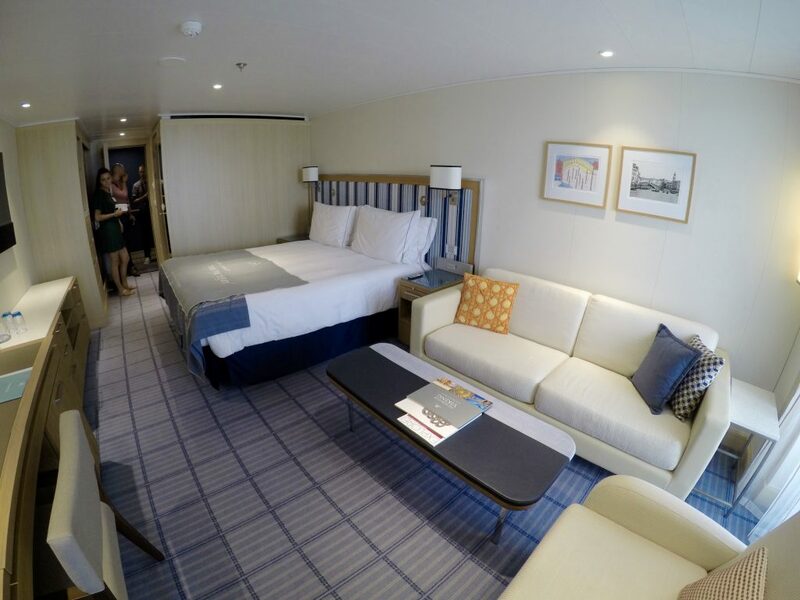 We looked at two staterooms, which I’ll now talk about. This is a 270 square foot middle grade stateroom, the next grade up from a basic Veranda Stateroom. As well as the standard features I’ve listed above, the DVS has Wi-Fi access in the stateroom and a coffee machine. 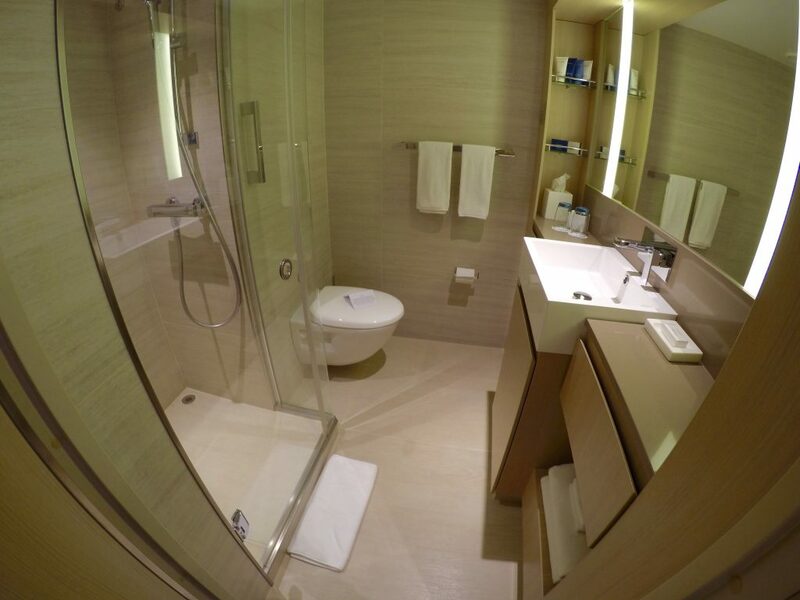 The bathroom is very spacious, with a large shower with glass door (no shower curtains here). The room consists of a king-size bed, desk/dressing table, wardrobe and drawers and a seating area. The generous veranda has a table and two chairs. The room is very light and has a blue and cream colour scheme throughout. The enormous, plump pillows were one of my favourite features in both staterooms. A good pillow is very important to me on a cruise! 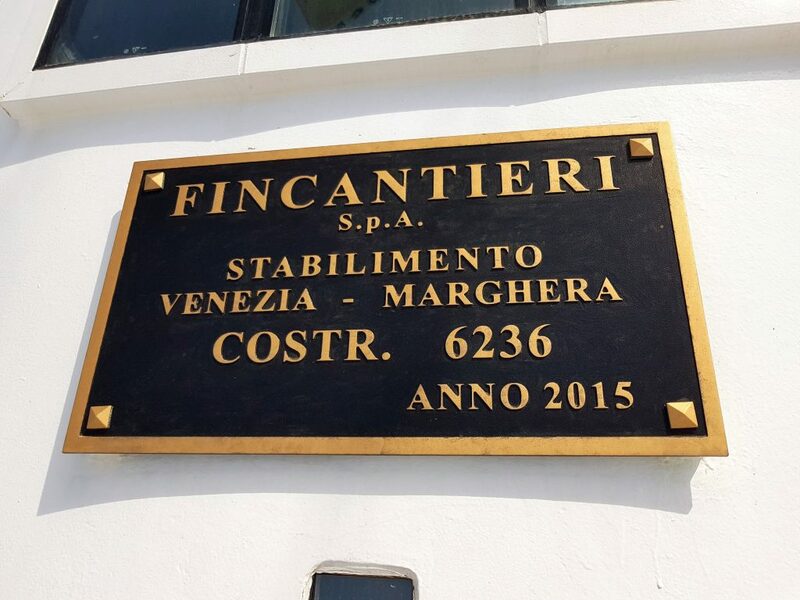 We moved on to visit a 338 square foot Penthouse Veranda Stateroom, which is the next grade up from the DVS. 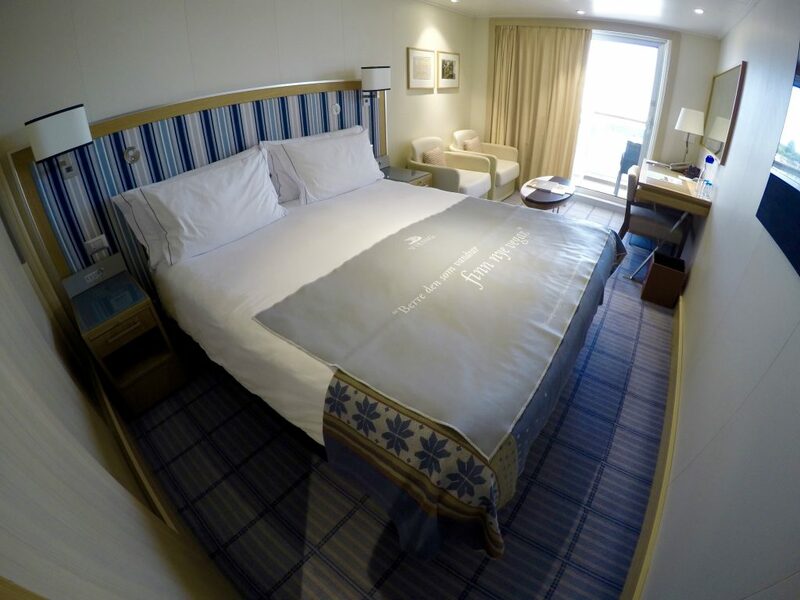 In addition to the standard features, this room also has: Wi-Fi access, 1pm stateroom access (instead of 3pm or 2pm), mini-bar with alcoholic beverages, champagne upon arrival and a shoe shine and pressing service. 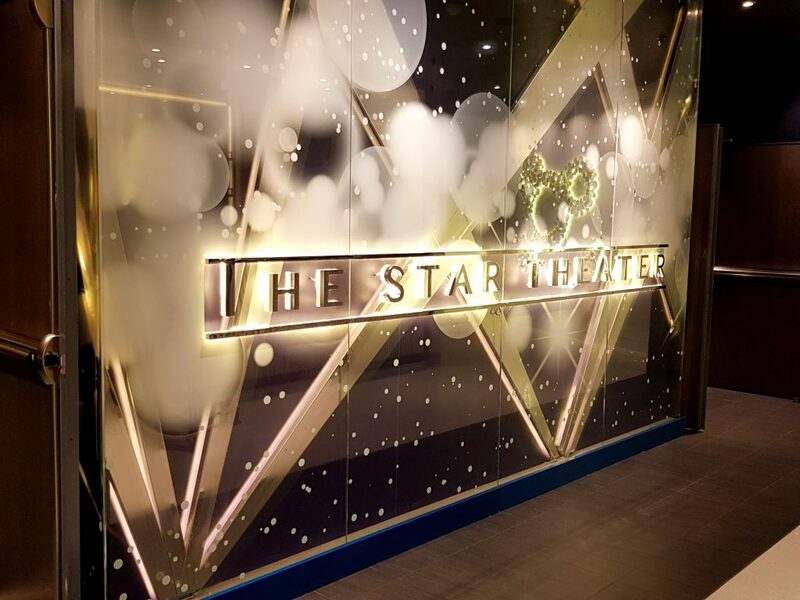 Other perks include two guaranteed reservations at an alternative restaurant, priority excursions reservations and priority booking of spa treatments pre-cruise. The colour scheme was similar in both staterooms, but the PVS is more spacious than the DVS. A large sofa can be found in one corner of the room creating a lovely relaxing lounge space. The veranda is also much bigger, so this is a great option if you like to spend a lot of time in your own private space. One of my favourite features was the pop-up dressing table, which is hidden in the desk along the one wall/bulkhead. The bathroom is also spacious and contemporary which I liked very much. I was very impressed with my visit on board Viking Star and I am very grateful to Laura for organising our tour. 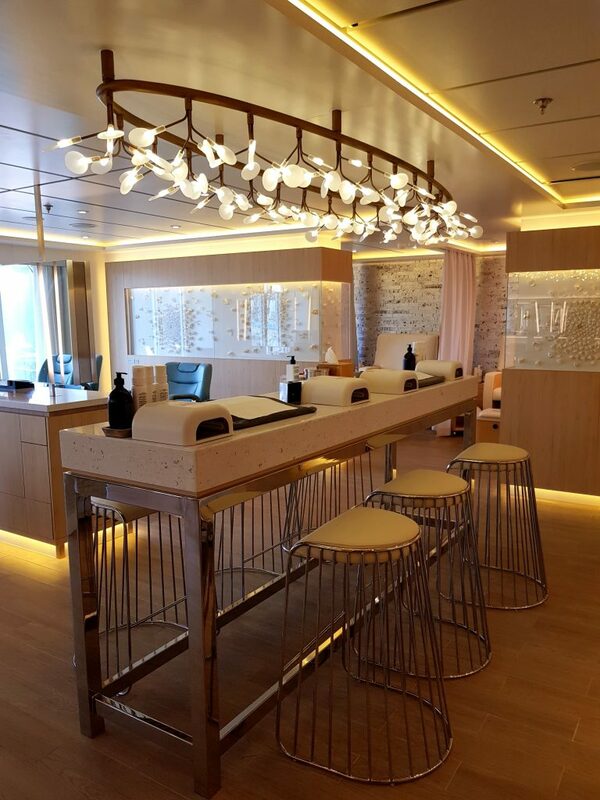 Viking Cruises demonstrated that there is still a need for smaller ships offering a more personalised experience. Entertainment may be more limited than you’ll find on larger cruise lines, but this is a different type of cruising experience. 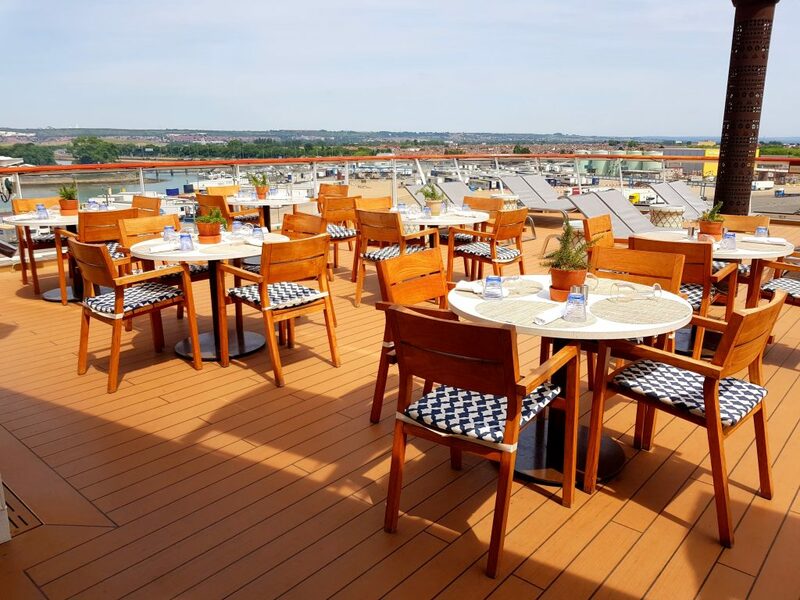 If you want to escape the masses, sample five-star luxury akin to a boutique hotel and explore exciting new destinations then give Viking Cruises a try. An 8-day Viking Shores and Fjords cruise in June 2019 is currently being advertised on the company’s website from £2,790, whilst a 22-day Majestic Fjords and Vibrant Russia cruise is available from £7,030 in June 2019 (these prices may change depending on which staterooms are available). 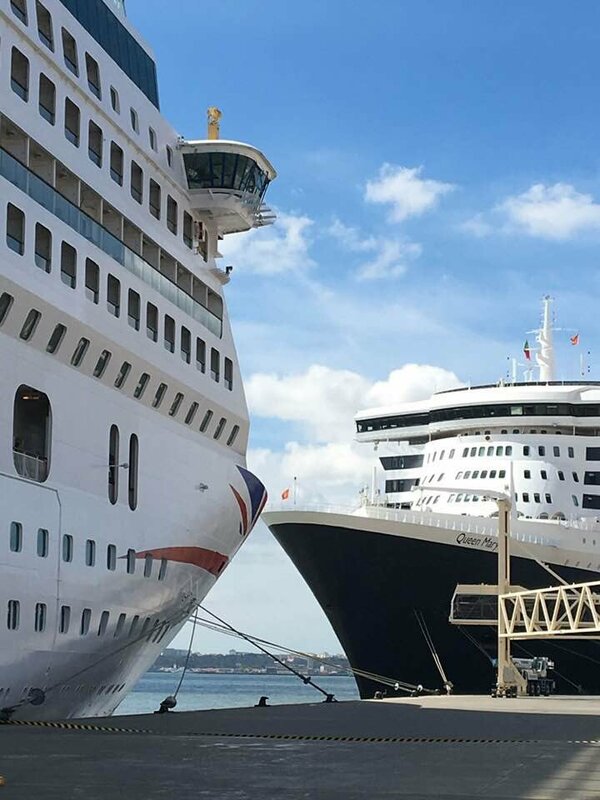 Although fares tend to be more expensive than some of the larger mainstream cruise lines, you do get a lot included in your price and it’s a different calibre of cruising. 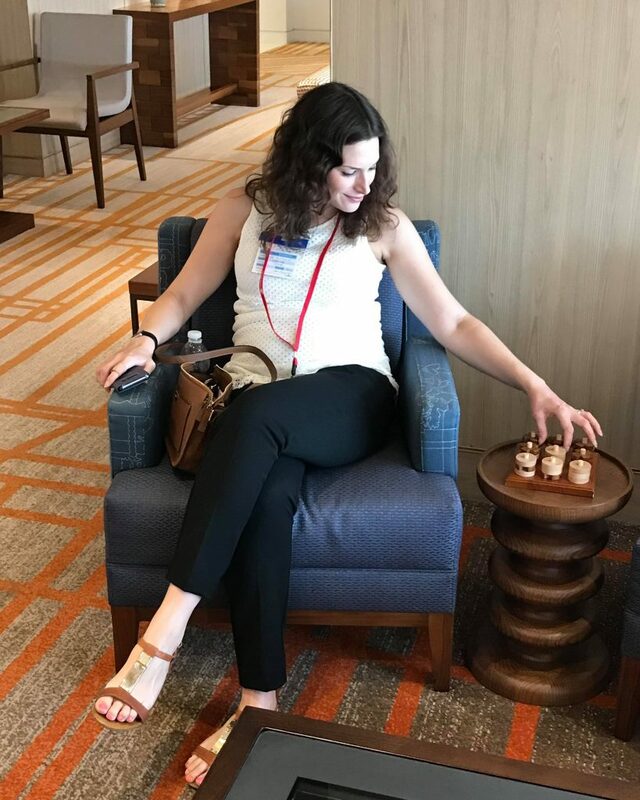 Viking Cruises have definitely jumped to the top of my cruise bucket list and I would love to sail with them in the future. 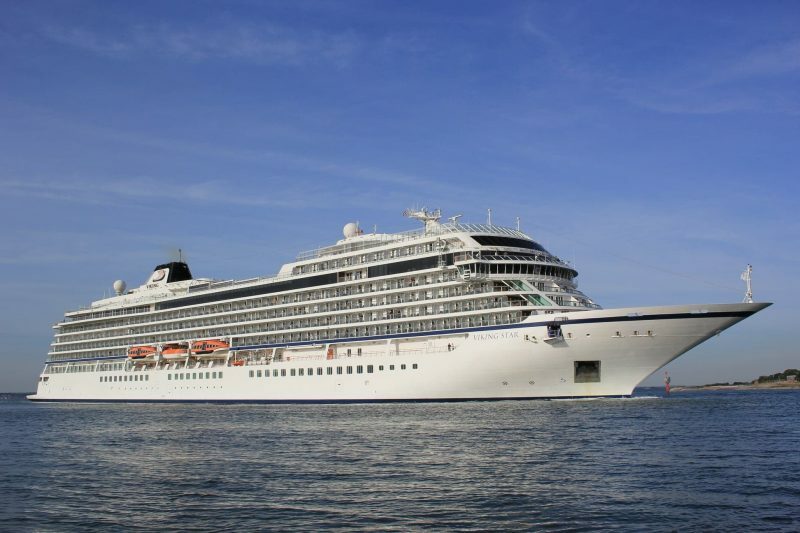 You can find out more about Viking Star and Viking Cruises on the official website here. 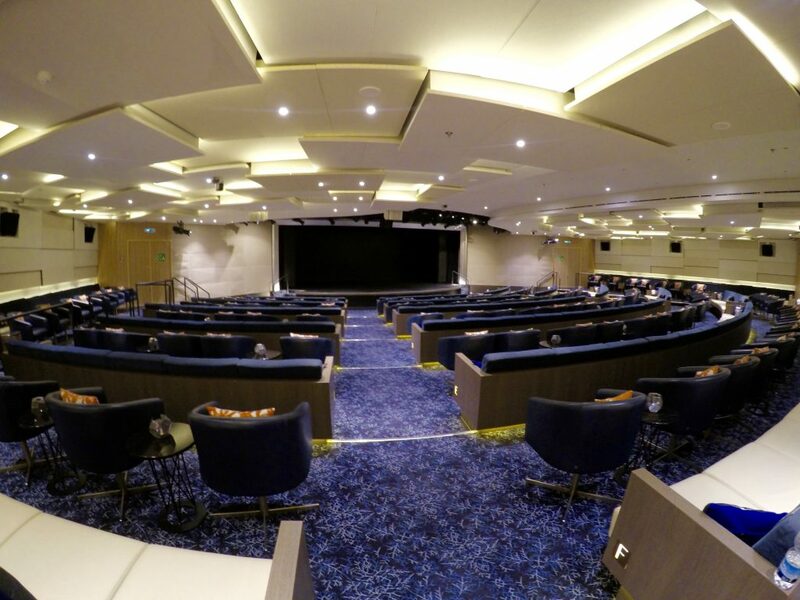 Don’t miss the 360-degree virtual ship tour which allows you to view each venue in detail. You can read more of my ship reviews by following this link. Love your review! We sailed on the Viking Homelands cruise last year and absolutely loved everything about the ship,. 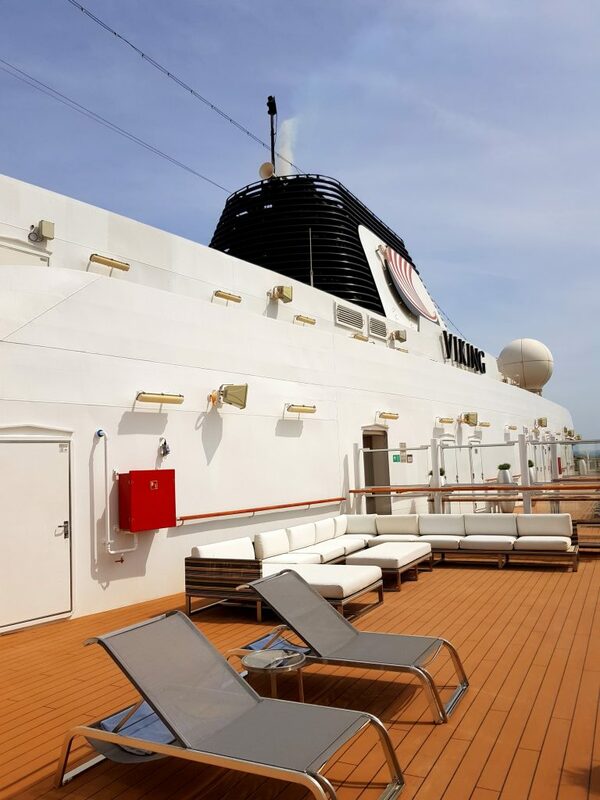 Your review and photos cover every beautiful aspect of the Viking Star. The only picture missing was of the lounge areas outside the Main Pool in front of the floor to ceiling windows. They were the most popular on our cruise especially when we had a day at sea. I hope you get to cruise on one of the Viking Ocean ships in the not too distant future.